This holiday season, don't miss out on the best savings! After viewing multiple different savings apps, I've narrowed it down to my favorite five to make your shopping a breeze. 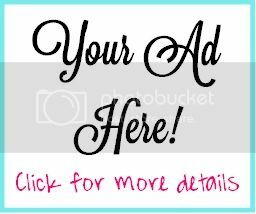 View ad scans, deals, and savings from your favorite stores and sites! This one is great to have well beyond the days of holiday shopping. 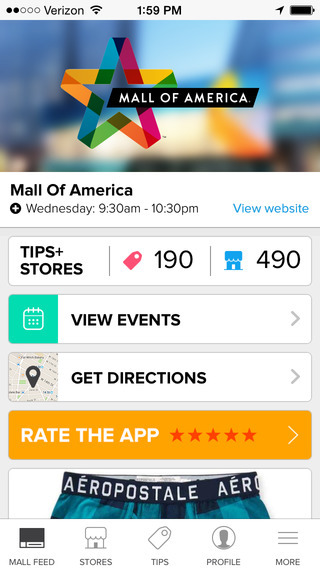 By enabling your location, MallTip can find you plenty of deals exactly where you are. It's very convenient and useful for yearlong savings. 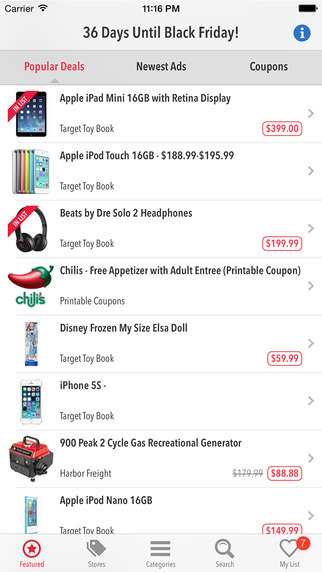 Eliminate the research by viewing doorbuster deals, online deals and in store deals all in one place. 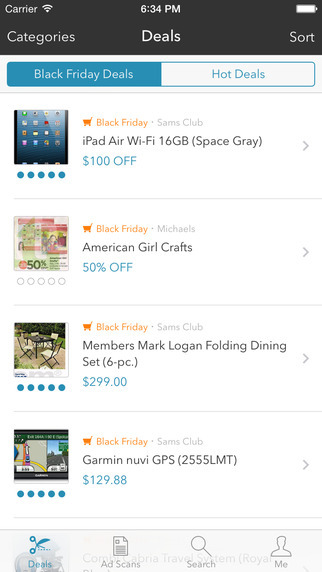 You can sort by store, read up on recent news, save items to a shopping list, and shop by category. This app is all you will need for a successful and productive Black Friday! This app allows you to narrow down your location and choose a mall to show you the exact savings you can get right now. 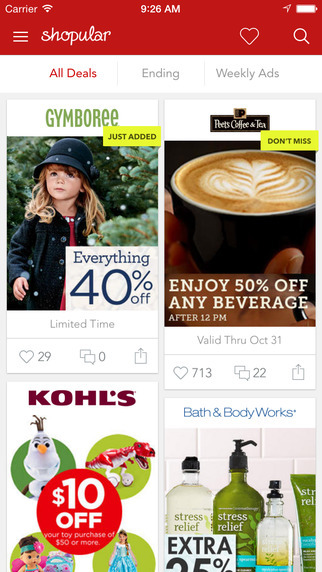 This app goes beyond Black Friday as it updates you on savings all year round! Don't miss this one, especially if you are going to part of the mall crowd this Black Friday! Check up on the hottest deals, the newest ads, and the best coupons with this one stop Black Friday shop. I have been using this app for the last two Black Fridays and it has been an absolute lifesaver. This one is my favorite because it has savings big and small, broad and specific. You can create a shopping list so you are ready to go (with a mission) once those doors open. 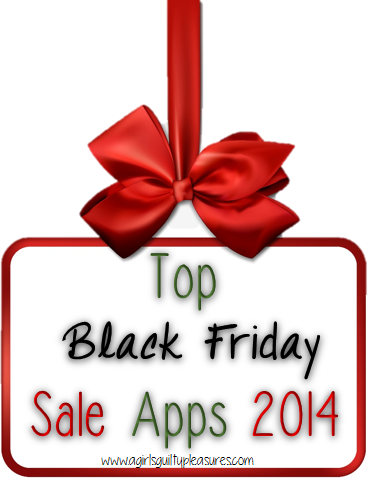 Leave comments if you know of any other great apps to use this Black Friday! Happy shopping!